Not enough space? No worries! A small makeup bag, packed right, can be surprisingly thin and just slightly bigger than your hand. Target, Walmart and many places sell them in an array of sizes. I like options that are durable and flexible and zip close. For the makeup itself, since you're packing light here, pick one feature you want to highlight most and what flaw you need to hide the most, then base your product selection around that. In my case, I prefer to focus on eyes and hide dark circles. I'll try to give myself at least two eye colors to work with, usually in neutral tones, so I can mix things up a bit. Also, consider packaging. MUJI makes some of the best travel containers small enough to fit a little foundation or creams into pots, and you can often find trial-sized products at Sephora or Ulta. 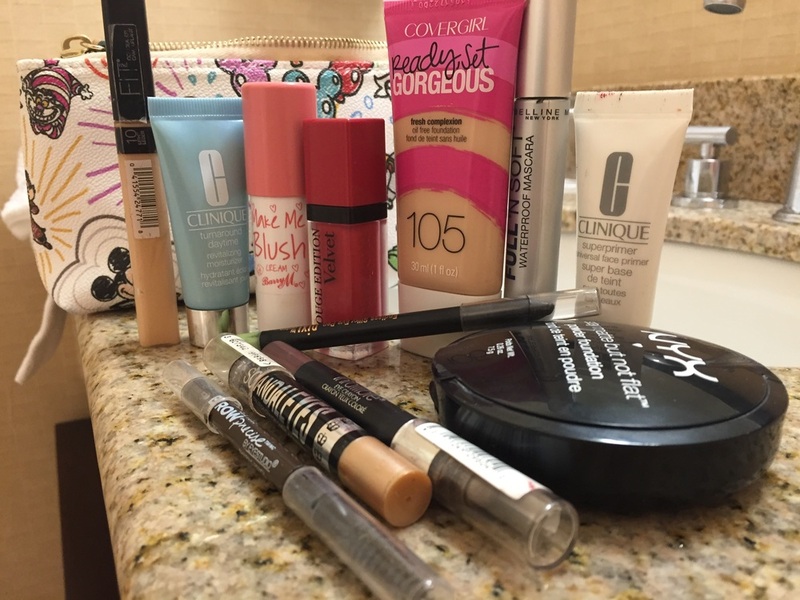 Crayon and pencil shaped products will fit better in most bags than bulkier ones. Make Me Blush cream blush stick by Barry M.
Did you notice there are no makeup brushes? I use brushes day to day, but try to avoid them if I can when traveling to save space and time. So that's a third thing I consider when packing makeup: can I make it entirely comprised of products I can just use my fingers to apply? All of these fit well into my bag, which took up little space, and I was still able to create a pretty great look and almost could have left the powder and blush at home in the end. And if you really don't need to get too fancy? Lashes, concealer, lips. That's it. It keeps things super simple while being just enough pulled together when necessary. And if you can pack minimally and pull off a great look in like five minutes then hot damn, you have won at life!